As the year is coming to an end, I came across many good games (old or new) that struck my fancy. My group of friends (including my wife) and I have actually played some of these games since last year and we like them so much, we kept playing. I’m not the biggest fan of the Cthulhu lore (yea I know!) and especially anything related to Arkham Horror, but this game has been simple enough for my less nerdy friends to understand and try out. We ended up playing this game every time we meet up for at least 3 months until we got distracted with other games/busy with our schedules. The game is a simple dice game where all the players work together to beat one of the Elder Gods chosen at random in the beginning. The characters you play are the same characters from Arkham Horror and they have their own special abilities to help them conquer evil…for that night. The key here is to work together to beat the game and not each other. Each player go in turn to try to finish a task to lock the evil using the Elder Signs in time before the creature gets summoned and unleashed its wrath onto the world. Average play time is roughly 2 hours or less with 5 to 6 people (maximum of 8 players). 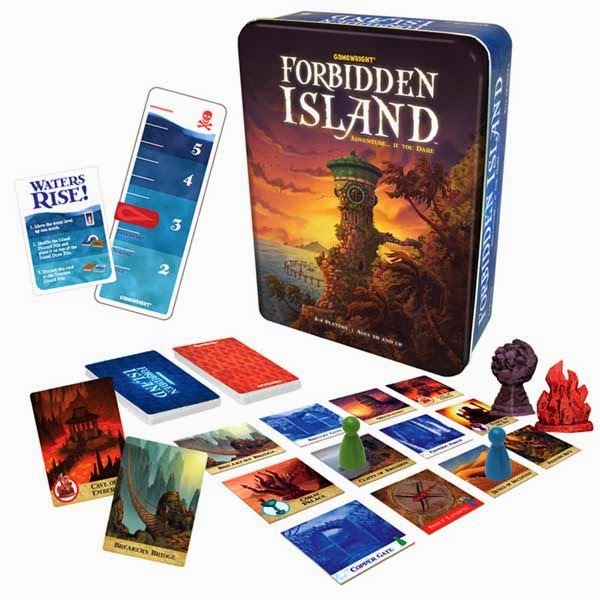 Forbidden Island is another simple and quick game that you have to work together to beat the game. Each player moves along certain plains to gather the correct set of relics to prevent the island from sinking. Every turn the island tiles will disappear and the players’ movement would be more and more limited. Luckily, each “explorer” has their own abilities to help the players beat the game. 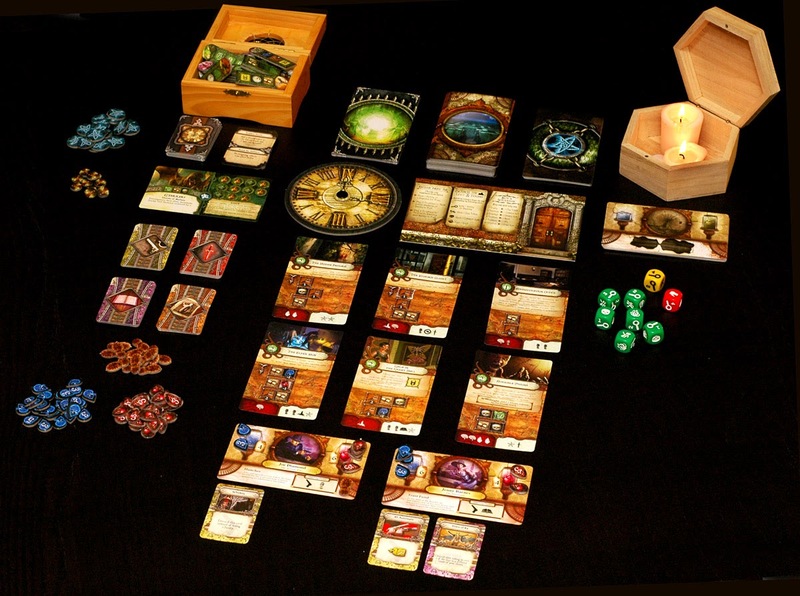 Forbidden Island is made for up to 4 players and the average playtime is 1 hour or less. Ah… classic Settlers of Catan! Wifey and I first introduction to European game, and I don’t even remember how or why we bought it. Each player need to gather up resources dictated by the 2D6 rolls and build their settlements, roads, and cities to earn enough points to win. They are allowed to trade whatever resources they need with the market or other players on their turn as the dice gods plays tricks on those who care not about dice roll probabilities. Watch out for those 7’s as the robber will come out from their hideout and rob your resources out of your hand. 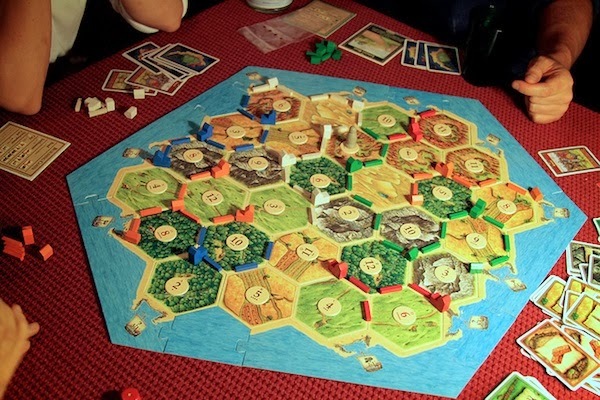 Simple and fun, Settlers of Catan has proven to be an effective gateway to introduce new gamers to “better” board games than the typical household ones like Monopoly or Game of Life. With the expansion, Settlers of Catan can support up to 6 people with an average of 2 hours or less game time. Ticket to Ride is another introduction Euro game that even my non gamer friends grew to love! Similar in a general sense to Settlers of Catan, Ticket to Ride is a resource management/placement game where you’re given a set number of trains (resources) and earn as much points as possible by completing routes (mission cards). Players lose points for not completing the routes randomly drawn for them and since there’s a limited number of routes to go from point A to B, Ticket to Ride gets cutthroat real quick! 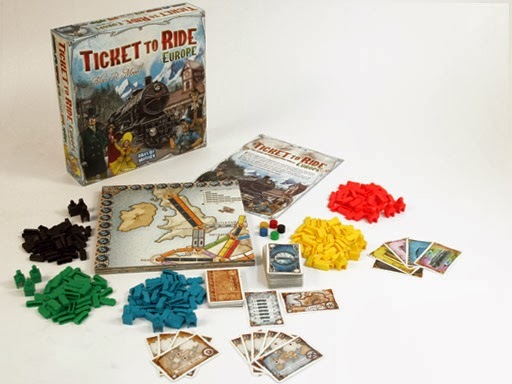 With expansions, Ticket to Ride can support up to 6 players or more (the more players you have, the less trains people get, and you would also need different colored trains) and can be played within an hour and a half or less. This is the ultimate game for me this year! The moment I saw Star Wars X-Wing Miniatures game, I knew I had to try it. 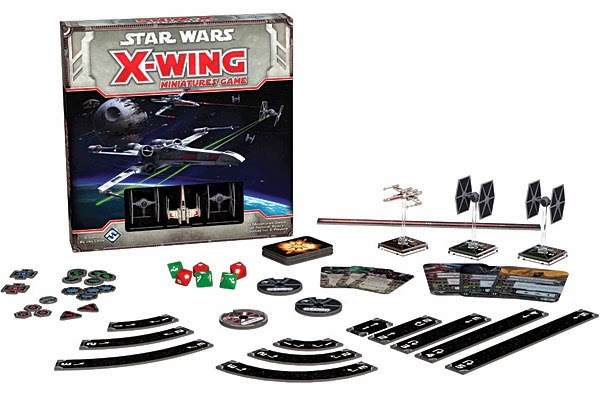 Made only for 2 players (or 2 teams), Star Wars X-Wing Miniatures game plays similar to Wings of War (if any of you are familiar with it) and pits the Rebel Alliance against the Imperials in a galactic space battle (sound effect not included, PEW PEW!). Each player build up their list of ships they are bringing, each ships and their respective upgrades all have their own points. The tournament standard is 100 points and that usually gives you 2 – 4 ships depending on how generous you are on putting all your eggs in one basket. After deployment, each player dictates where their ship is going with these specially made dials and measuring tool and the player with the lowest pilot skill value moves theirs first and declare their available actions. During the combat phase (shooting phase), the pilots with the highest pilot skill value shoots first. So a pilot with skill of 9 will move last (for better positioning), and shoots first (to thin down the enemy that can shoot back). You keep repeating the same phases until one side is out of the game, so it’s like galactic space chest with so much WIN! Playtime is about 1 1/2 hours each game and what are you waiting for? Time to fly out on the Millenium Falcon with Chewbacca on your side! As I can’t get into too much detail of all of these games, I recommend going on YouTube and search for the gameplay videos there. I hope you guys enjoy some of my review of the 2013 Top 5 Board Games and let’s look forward for 2014!